Maui attorney James Krueger got back into competitive pool swimming in 1990 under the tutelage of Rowdy Gaines when Rowdy was still in Honolulu. Krueger was Gaines' "older project" at the Oahu Club since he had been away from pool competition since captaining the 1960 UCLA swim team. Despite being a three time Ironman and Boston Marathon finisher, Krueger has remained, as in college, a freestyle and butterfly sprinter and has produced times nearly comparable to his Westwood days. No stranger to international swimming, Krueger, a USMS All-American and National champion, finished 2nd in the men's 55-59 50 free at the 1996 VI FINA World Masters Championships held in Sheffield, England. At the 1998 VII FINA World Masters Championships held in Casablanca, Morocco, Krueger placed 2nd in the men's 60-64 50 freestyle, 3rd in the 100 freestyle, and 3rd in the 50 butterfly. He anchored The San Francisco Olympic Club's winning mixed 240-279 age group 200 freestyle relay and swam the fly leg of the gold medal mixed 240-279 200 medley relay. Krueger celebrated his 60th birthday in 1998 by achieving All American status in the Men 60-64 age group and a #1 ranking on the 1998 USMS SCM Top Ten list in the 50 breast swum at the Long Beach Holiday SCM Meet in December. In 1999 and 2000, Krueger had the fastest sprint times within the Pacific LMSC area in his age group in the 50 free and 50 fly. Competing in Munich, Germany, in the 2000 VIII FINA World Masters Championships, Krueger finished 2nd in the 50 free, 3rd in the 100 free and 6th in the 50 fly. At the 2001 U.S. Masters Swimming Short Course National Championships in Santa Clara, CA, Krueger was national champion in the men's 60-64 50 yard breast winning the event in :34.04. He also placed second in the 100 yard breast and garnered a third in the 50 yard free. 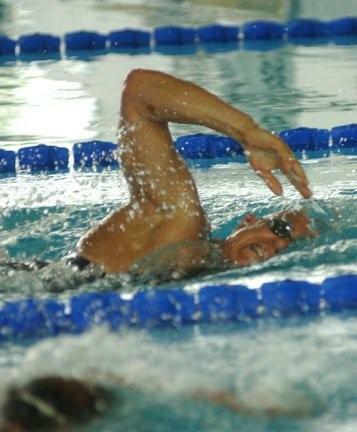 Krueger swam in the 2002 IX FINA World Masters Championships in Christchurch, New Zealand. The following year, after aging up to the 65-69 year old age group, he made the 2003 USMS Short Course Meters Top Ten list, ranking 2nd in the 50 breast (:40.14) and 5th in the 50 free (:30.68). Competing at the 2004 X FINA World Masters Championships in Riccione, Italy, Krueger swam times which placed him 4th on the 2004 USMS Long Course Meters Top Ten list in each of three events: the 50 free (:30.20), the 100 free (1:10.34), and the 200 free (2:46.04). In 2006, the XI FINA World Masters Championships had been held at Stanford University, Palo Alto, California. This marked the second time that the international event has been held in the United States and was fourteen years after the 1992 meet which was held in Indianapolis, Indiana, a meet which Krueger also attended. At Stanford, Krueger swam times which placed him on the 2006 USMS Long Course Meters Top Ten list. He was ranked 6th in the 50 free (:31.25), 7th in the 100 free (1:12.54), 9th in the 50 butterfly (:36.67), and 10th in the 50 breast (:42.20). Still competing for The Olympic Club, Krueger swam on two men's relays which also were ranked in the 2006 USMS Top Ten Relay list with a 6th place rank in the men's 240-279 200 free relay and an 8th place rank in the men's 240-279 200 medley relay. Krueger has been a USMS Relay All-American in 1995, 1996, 1998, and 1999. In 1996, he was a member of the The Olympic Club men's 200-239 world and national record setting 200 SCM medley relay and was a member of national record setting Olympic Club relays in 1995, 1996, and 1998. In 2002, at Christchurch, Krueger, 63, swam on the Olympic Club’s world championship winning mixed 4x50 free relay which competed in the 200-239 age group. Photos are available of his teams at the 1997 Pan Pacific Championships in Maui , 1998 USMS Short Course Championships in Indianapolis, and 1998 FINA World Championships in Morocco. Jim joined The Olympic Club in 1995 and lives in Maui, Hawaii. James Krueger and Olympic Club teammates set two national records in freestyle and medley relays at USMS Short Course Championships in Indianapolis in May, 1998. James Krueger and Olympic Club teammates win championship in freestyle and medley relays at the FINA World Championships in Morocco, 1998. In 2012, he swam in the World Masters Swimming Championships occurring again in Riccione, Italy, anchoring the Mt. Tamalpais, California, 240-279 year age 4x50 meter "B" freestyle relay, which finished 9th in the world. In 2013, Krueger won his age group national championship in the one mile open water swim competition held at Lake Del Valle, northern California. 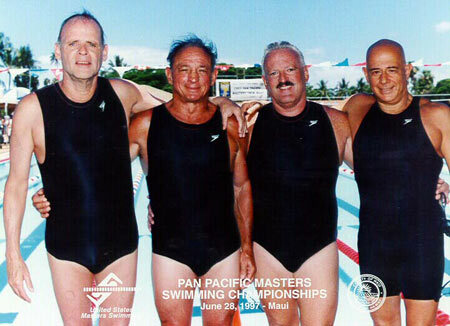 In the 2014 Pacific Coast Masters Swimming Championships, Krueger won the 50 yard freestyle event in the 75-79 age group competition. Krueger is also an avid ocean swimmer. 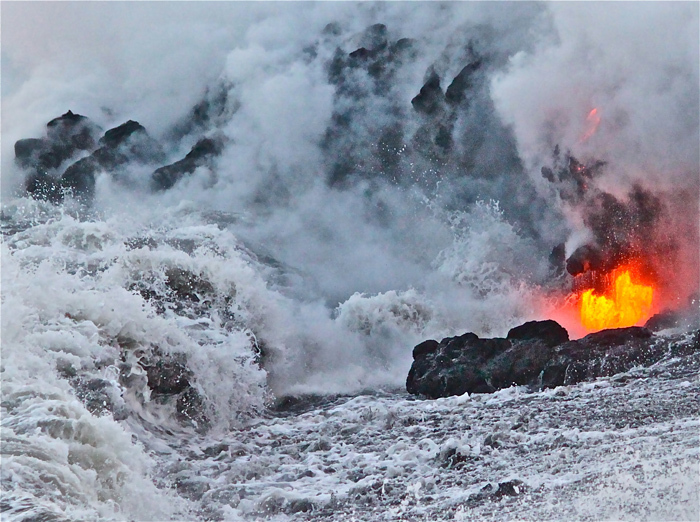 He has swum alone between the islands of Lanai and Maui, some 11 miles. 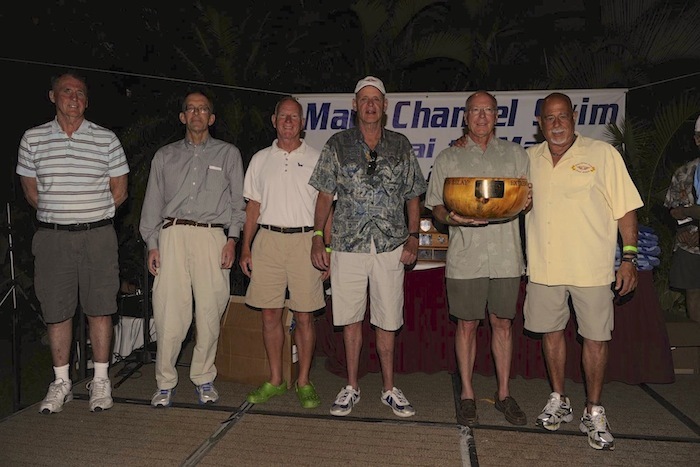 He has raced on relay teams between those islands almost every year for over 25 years. 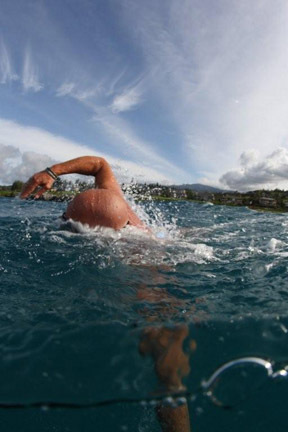 He helped form "Sunmornswim", a group of swimmers who every Sunday meet and swim a few miles in the open ocean offshore the Maui coast. 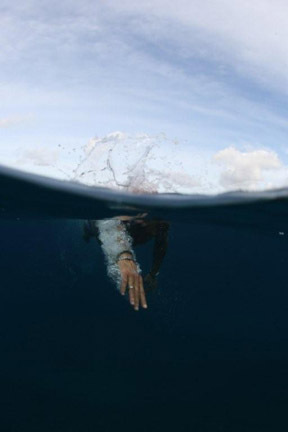 In addition to racing sailboats from California to Hawaii, and among the Hawaiian islands, he has scuba dived, underwater photographed, and surfed throughout Tahiti, the Tuamotus, Rarotonga, Samoa, New Zealand, and offshore Papua Niu Guinea. 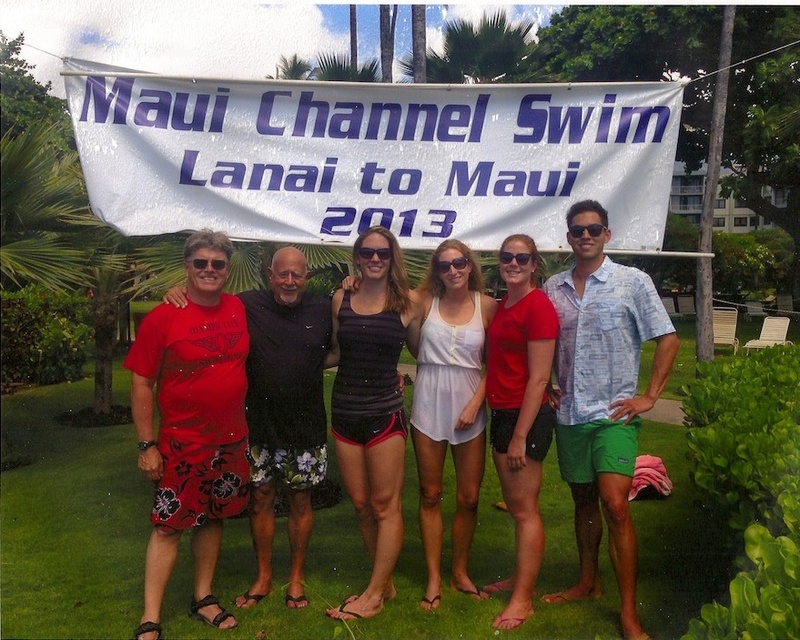 Krueger has competed every year for the Olympic Club in the annual Lanai – Maui channel swim, the world’s longest open ocean relay race, for over 25 years, often being on winning teams in various categories. In 2017 Krueger affiliated with Mt. 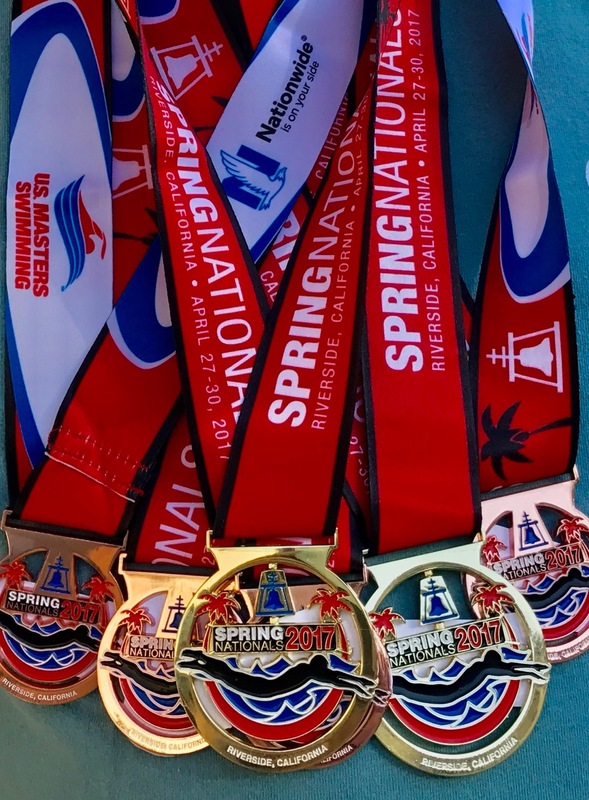 Tamalpais Masters Aquatics in the Bay Area and competed in the United States Masters Short Course Swimming Championships in California. 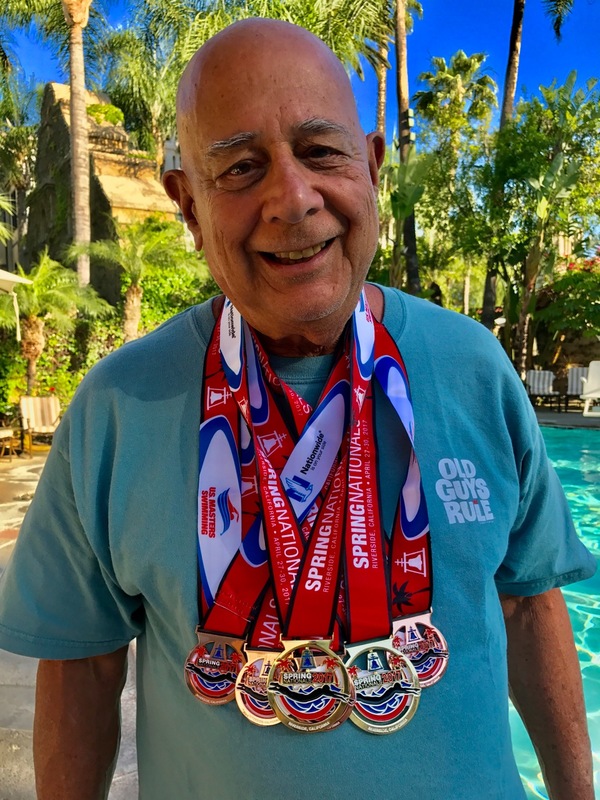 There, he swam in four relays, two mixed freestyle and medley, which relays won the national championships in the 75-79 age group competition. Krueger placed 5th and 7th in the nation in his age group in the 50 and 200 yard freestyle events. 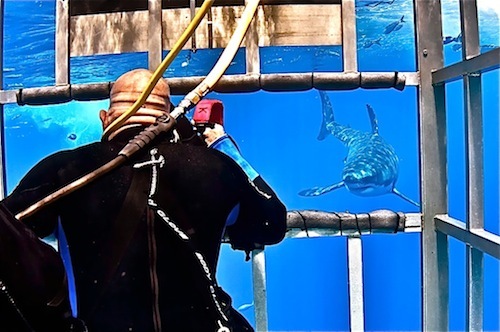 In the recent past, Krueger has engaged in serious international underwater scuba photography. He has traveled and photographed in Niu Guini, the Maldives [off Sri Lanka], Komodo [off Bali], Palau, Tahiti and the Caribbean. 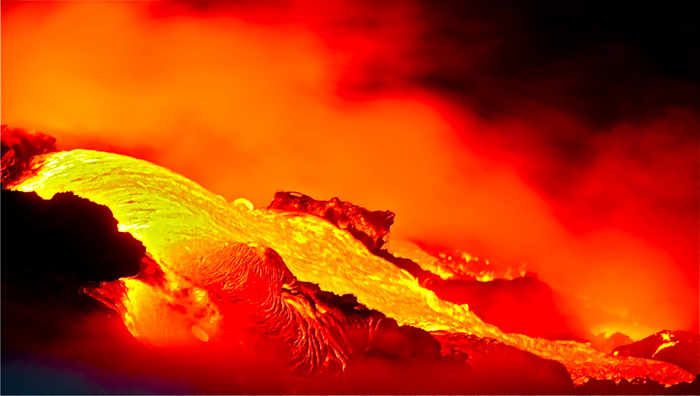 Volcanic action in Hawaii has been recently recorded. 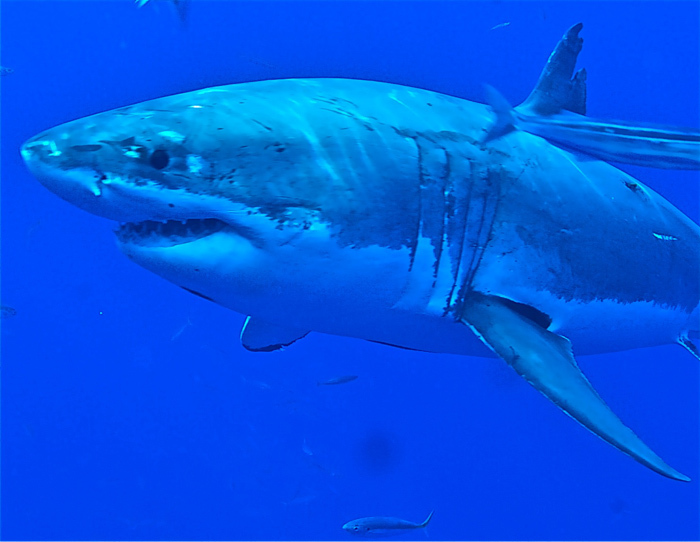 Professional courtesies have been extended to Krueger off Guadalupe Island in 2011 by others wearing grey suits. See below.